This page has information on how to get to the Club if you are driving, what schedule the club maintains for being open to lawn bowling, and general information of interest about this Club like the Club History. The Officers, Directors and Committee Members are listed on the "Feedback" page. Location - Driving Instructions and map. The Club is part of the Oxnard Senior Center in Wilson Park located in the downtown area. It is on the northeast corner of the intersection of "C" Street and Palm Dr. Palm Dr. is two blocks north of First St., and "C" St. is two blocks west of Route 1 (Oxnard Blvd.). The Club parking lot entrances are off "C" St. More specific instructions with detailed maps are on this page. Club Hours -- The club has sign-in by 9:15, a short meeting at 9:30 and then bowl around 9:45 on Monday, Wednesday, Friday, Saturday & Sunday. Come visit us any day and get full information. RAINY DAY NOTIFICATION -- To find out if Lawn Bowling will occur after it rains, call the Club House 1-805-385-8034 after 7:30 am and the message will provide needed information. Club History -- Here you will find some of the recorded history of the club with photos. Greens Maintenance -- Amador Martinez maintains the club greens. Here is his "Green Maintenance Manual". 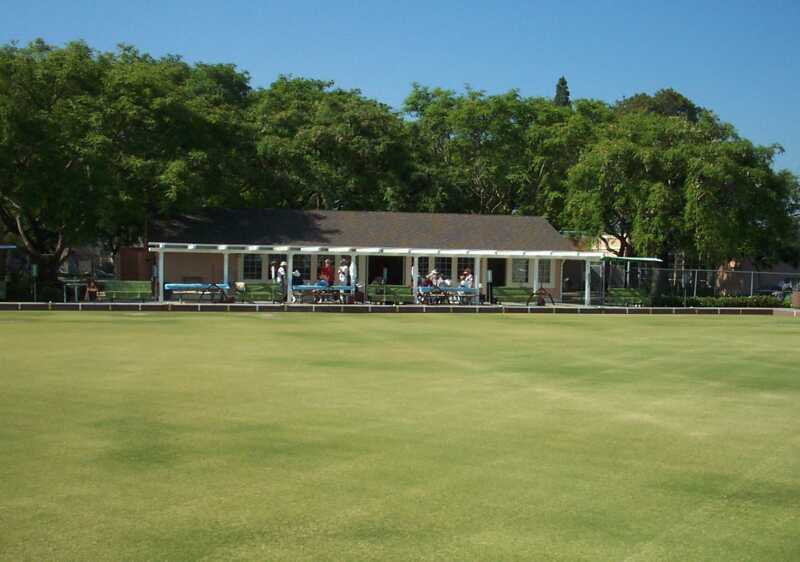 Love Affair with Lawn Bowling: An article by Sunny Glessner. Poem on lawn bowling at Oxnard LBC by Bill Parman. Thanks to Bill & Marilyn Taschek.